All writers know that a good critique group – or even just a good, honest critique partner – is a must. The critique of a manuscript is essential, because after slaving away on that book for months and months a writer gets to the point where all those words and phrases blur together into one big ball of Argh! Your critique group then rips into it and points out misspellings, passive voice, overused words, deviations from the plot, purple prose, and other things that will sink a book. We all know to get that manuscript critiqued before we begin to edit. 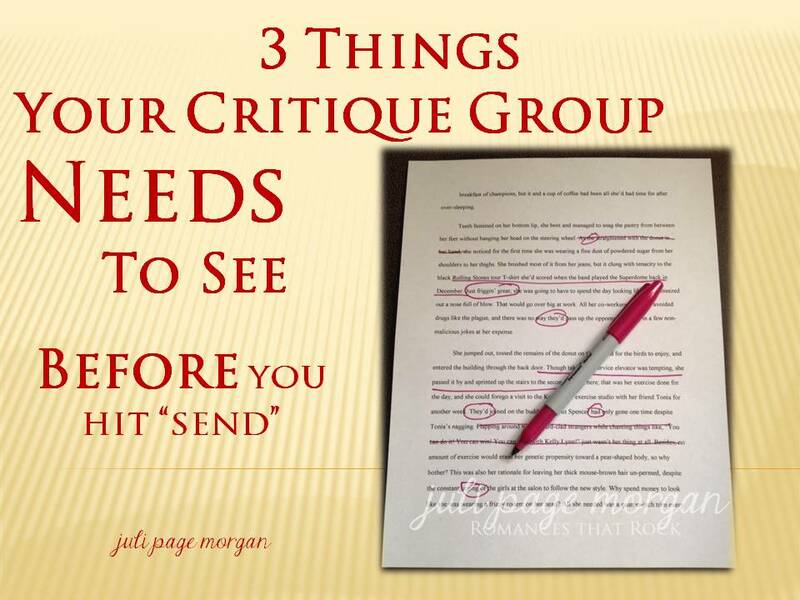 But there are other things your critique group or partner needs to see before you send those things out into the world, and today I’m highlighting three of them. Along with the book’s cover, this is the first thing readers will see when they’re browsing their favorite online retailer. 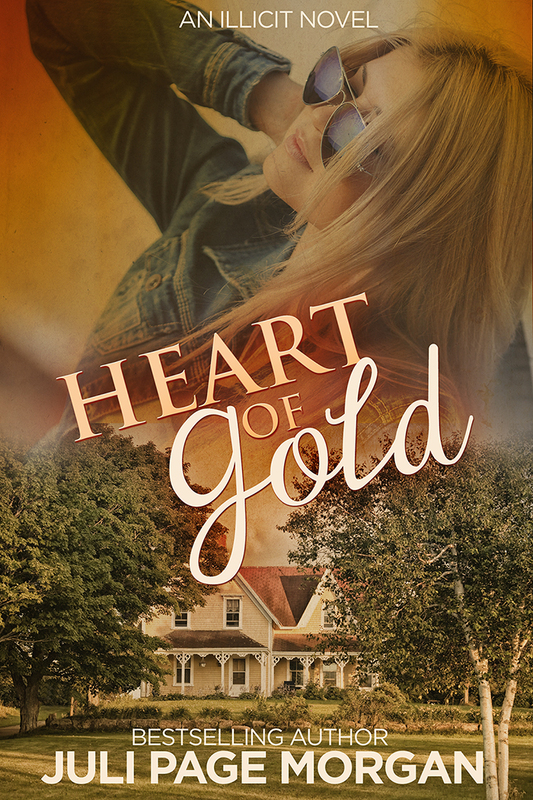 It lets them know what the book is about, sets the tone for the story, and entices them to either download the sample or check out the Look Inside feature to find out more. It’s the copy on the back of a print book that makes the reader flip the cover open. It’s what you send to reviewers that makes them send back a “Yes, please!” (I just want to pause here to point out that this is not a synopsis. I’ve seen authors and bloggers both call it that. Stop calling it that. A synopsis is a whole ‘nother beast; longer – sometimes up to three pages, more involved, and includes the book’s ending. A blurb is not a synopsis.) Your critique group needs to see your blurb. When they critiqued your manuscript did they call you out for putting commas in all the wrong places? Did they point out words you consistently misspell even though you know better? If you did those things in your manuscript then you’re probably going to do them when writing your blurb, too. Old habits are hard to break, and if you didn’t see them in your book then you’re not going to see them in your blurb. Too, your critique partners know your story, so they’ll be able to tell if your blurb conveys your book. You need those extra sets of eyes and the group’s input on this, because if a reader comes across a blurb that’s uninteresting and full of punctuation errors and misspellings, chances are good they’ll assume the rest of the book is just as bad, and you just lost a sale. “Don’t judge a book by its cover.” Yeah, yeah, nice and all, but the truth is that readers do judge your book by its cover art. Before a reader even glances at the book’s blurb, they see the cover. And if it’s poorly done then they won’t even bother with the blurb. This is one area in which you cannot skimp. (Formatting is another, but that’s a subject for another blog.) Hire a cover designer. It’s worth every penny to have a professional do your cover. Even then, though, you need your critique group’s feedback. 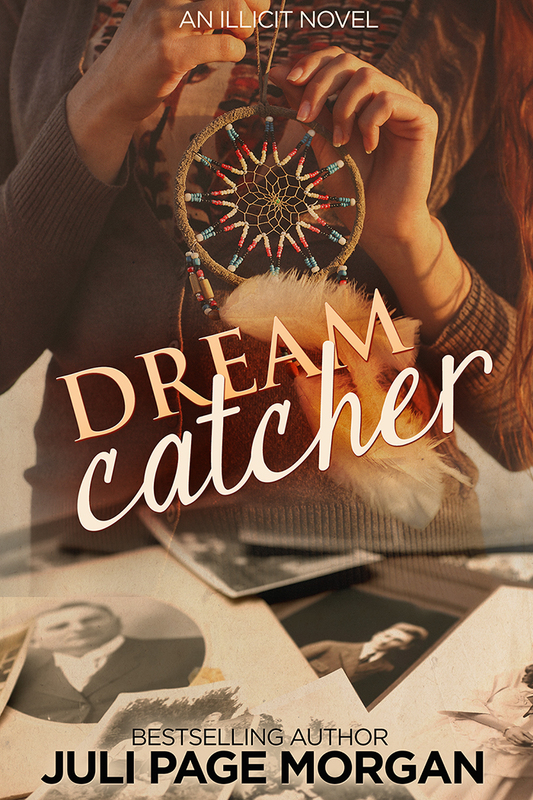 Coming up with the covers for my books is one of the hardest parts of self-publishing for me. I think I know what I want, but sometimes that’s not the best cover for the book. I can’t tell you the number of tweaks and changes I’ve had my cover designer do, and bless his heart, he does it without a murmur. (To me, at least. I’m sure he utters a few cuss words whenever he sees an email from me pop up in his inbox! 🙂 ) But all those changes come after I’ve let my critique group see the mock-ups. There are times I think my idea is just ducky, but my crit group points out that it doesn’t work for the story behind that cover. They gently suggest that the font I’ve fallen in love with isn’t really readable, or where I’ve chosen to place my name isn’t the best place for it. Like I said before, your critique group knows your story by now, and they’ll be able to tell you if your cover conveys it. They can (and should) tell you if your cover looks like every other cover in your genre, and if they tell you that then make some changes to make yours unique. Book bloggers and readers love those teasers. It’s a nice visual and a good way to entice a reader toward your blurb and your book. After all, they say a picture is worth a thousand words. (Speaking of which, these pictures damn well better be stock photos you’ve purchased, or photos you took yourself. Don’t be snatching someone else’s work off the internet and using it for your teasers. Not only is it reprehensible to steal, it’s illegal, and you will get in major trouble over it. Blogs that publish those teasers will also get into trouble, and you can be sure they won’t be in a hurry to feature you or your books again.) But you need to run those teasers by your critique group before you post them or send them to bloggers. The other day I saw a teaser on a Facebook book blog page. The photo was lovely, the font really popped, but the text read, “She felt his hot breathe against her skin.” A second set of eyes on this before she sent it to the book blog would have saved her from getting a reputation as an author who doesn’t know how to spell. Another thing I saw this week was a logline that talked about the heroine’s “disfunctional” family. And this was also printed on swag the author was giving away to readers! Those readers will assume that the book is also full of misspellings and problems. I can tell you that I didn’t click on those buy links. Note: Ask your cover designer about creating teasers for you. After all, he or she already has the stock photos purchased for your cover, and may even give you a price break if you buy teaser designs along with your cover art. It never hurts to ask! Everything an author puts out, whether it’s a teaser, a blurb, a book, a blog post, or even a reply to a Facebook comment, reflects on his or her writing. If readers (not to mention agents and editors!) see a plethora of misspelled words or shoddy covers it will harm your brand. And if your brand is harmed then you’ll have the devil of a time repairing the damage. Look, I realize you can’t catch every single misspelling or every misplaced comma. Authors are humans, and sometimes things slip by without our notice. But you owe it to yourself, your books, and your readers to do your best to make sure things are as error-free as you can get them. This includes proof-reading before you hit “post” or “send.” It includes editing posts when you find that ridiculous typo your eye skimmed over the first twenty times you read it. It includes making sure you have critique partners that know the difference between “breathe” and “breath”, and will tell you that “disfunctional” should be “dysfunctional” before you spend money for bookmarks or coffee mugs. And if the members of your crit group don’t know this, or if they don’t point it out, find yourself a new posse. Your book may be perfectly edited, but readers won’t give it a chance if your blurb, your cover art or your teasers turn them off. You can also follow my blog by email. You’ll get a notification in your inbox whenever a new post is ready. And, as always, you can unsubscribe at any time. The subscribe button’s right over there to the right somewhere. This entry was posted in My Surreal Life, Writing and tagged author brand, For writers, Juli Page Morgan, self-publishing, writing, writing tip. Bookmark the permalink. As a member of the Best Damn Crit Group Ever, I wholeheartedly agree with all of the above!